The minds of little kids are always on a quest to learn new things. The teachings and values that you impart to your child during his formative years are bound to stay with him for a lifetime. The stronger the foundation that you set for your child today, the more enriched his future will be. This also holds true as far as academics are concerned. The more streamlined your approach towards introducing your child to the alphabet, the better his understanding of languages will be! 1. Creating Patterned Jewelry – If you have a little girl, she is surely going to love this activity! It offers an excellent fusion of the elements of learning and fun together! Not only does this activity give your child an understanding of patterns but also colors. It even aids in the development of their fine motor skills. 2. Coloring And Creating Patterns – Does your child seem to be sitting bored on a sunny afternoon? Let him instead, indulge in a mentally stimulating activity that’s also extremely enjoyable! While he enjoys doing what he loves best (coloring), he will also improve his concentration levels and understanding about patterns. 3. Making A Patterned Banner – Party in the house? It’s the perfect time for you to try this patterned banner making activity with your child! There’s nothing better than enjoying the festive spirit with a little bit of learning, is there? 4. Stamping – Stamping is one of the most exciting ways to teach your child about patterns. You can use everything from fruits, veggies, flowers to tiny buttons to create patterns. What’s better is that stamping also helps hone your child’s artistic flair! 5. Creating Lego Patterns – Is your little one a Lego architect? Well then, this activity is sure to be a definite hit with him! Use tiny Lego blocks to give your child an elementary understanding of patterns. 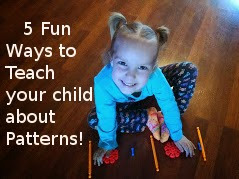 We’re sure that your child will have fun with these activities as much as he’ll learn about patterns! Do let us know which of these activities he liked best in the comments section! Aradhana is from India. 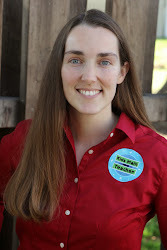 She is a veteran writer on topics concerning parenting, child nutrition, wellness, health and lifestyle. As a regular contributor to popular sites like Huffington Post, Natural news, Elephant journal, Thehealthsite, Naturally Savvy, Curejoy and MomJunction.com. Aradhana writes to inspire and motivate people to adopt healthy habits and live a stress-free lifestyle. Thank you for visiting Kids Math Teacher today!